Schedule your donation in advance by calling 201-251-3703 or sign up online at https://donor.cbsblood.org/donor/schedules/drive_schedule/48793. Walk-ins will also be welcome. 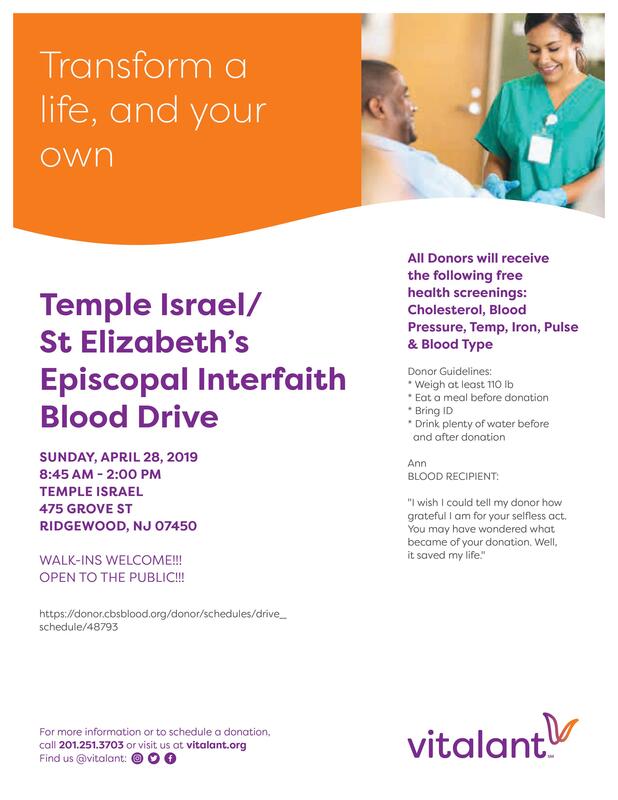 Sponsored by the tikkun olam committee in partnership with St. Elizabeth’s Episcopal Church.